MFT Challenge & Inspiration Team + World Card Making Day! Hey guys! Rejoice! It’s World Card Making Day! Such an joyous day for us card makers! I hope you all are finding some time today to create. I also created two additional cards just because I wanted to! I am in love with this new Stay Cool set from MFT. I mean who doesn’t love a good frap? And this Santa from last year’s Christmas Cuteness set is seriously still my favorite. I decided to go non traditional on the colors and one of my favorite color combos is orange and royal blue. So fun! 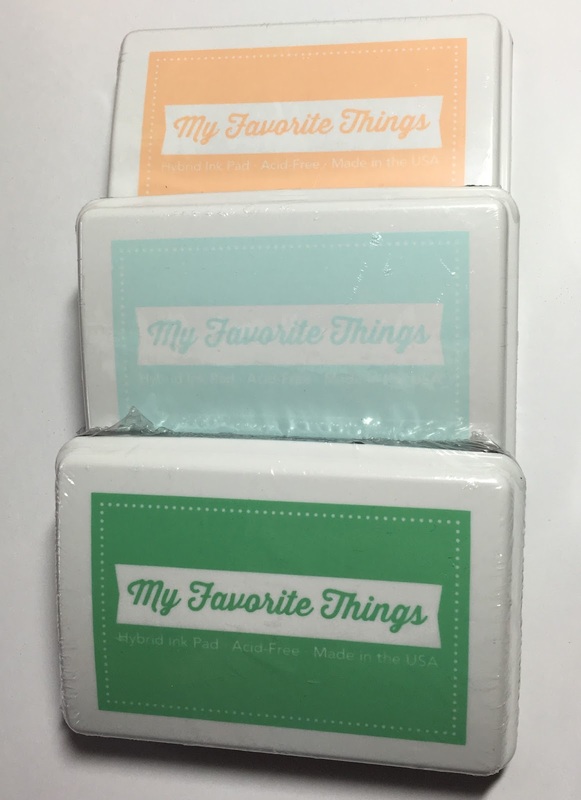 In honor of World Card Making Day, the day of my people, I am giving away some fabulous My Favorite Things Hybrid Inks! For your chance to win, please comment and tell me what you are doing today! If it’s not crafting related, that’s okay, just let me know what you’d LIKE to be working on. Have a great day, and happy stamping! So over on the MFT Card Challenge Blog there have been some amazing posts going down all day long. If you haven’t already, get over there and comment because my other teammates have been sharing some amazing holiday inspiration and there are lots of prizes to be won, including brand spankin new yet to be released products! EEEK! You can find my project here. I am a relatively new carder, who loves to follow the MTF Blog, especially the colour and sketch challenges. You are by far my favourite MTF designer, so continue your amazing work! On World Carding Making Day, I was making cards for an upcoming craft market. Great WCMD cards! Hope you were able to get some more done! I just love love MFT and one of my favourite team member is you. Unfortunately I only have one stamp and ink by MFT but I love creating and that's it…I will come home from work, cook dinner for my family and make something new! All the best from Croatia! Absolutely love the frap card! I'm hoping to work on some cards for the HYCCT challenges today. Thanks for the inspiration and chance to win! I just love that Xmas shaker card with the wavy die-cuts, its so gorgeous. Its another fantastic MFT release!! Thanks so much for the chance to win these ink pads. I don't own any of these and have heard so many good things about them. Its school holidays here in New Zealand so will be doing something with the kids but would LOVE to be colouring something in with my Ziggies and watching a horror movie!! !